I suppose this qualifies as "night" photography (technically it's astrophotography). I was just testing out the Canon 60Da last night. "Seeing" conditions weren't the greatest to go after faint-fuzzy targets, so I opted for an easier selection. 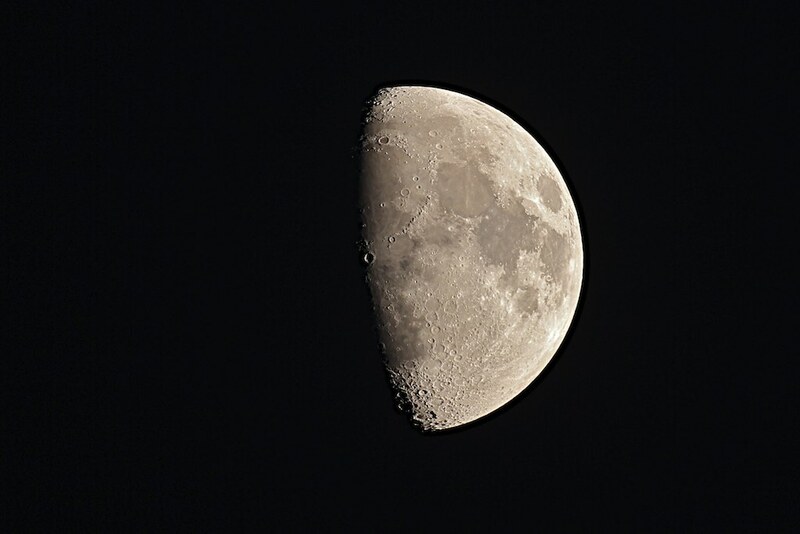 This is the moon with the Copernicus crater located in the center at the lunar terminator (the edge which separates day/night sides of the moon). Last edited by TCampbell; 05-30-2012 at 10:09 PM. Last edited by 480sparky; 05-30-2012 at 09:26 PM. Sick of all the spam and advertising. I'm done here. No - actually this is cropped in. The RAW frame out of the camera had the diameter of the moon only about half as large as you see here -- so I just cropped it a bit to make it easier to see detail. I adjusted highlights down a bit and added some sharpening. The color is straight out of the RAW image (no white balance, nor did I adjust it). Notice the slight brownish tint... that's the extra IR being collected. A normal camera filters that out and the moon would look more grayish. The 60Da (Canon's special edition of the 60D designed for astrophotography) allows considerably more IR light to pass -- making it much easier to do astrophotography imaging. I just got this camera body last week and haven't had too many opportunities to play with it yet. Strange. When I 'shoot the moon', I have to use the corrector just to get the whole disc in view. Otherwise, I have to crop part of it out in-camera. You may want to look into getting one, though..... you'll end up with an f/7 scope with it. I did actually take the FIRST images through the C14. Not much of the moon fits into the image. On TOP of the C14 is a Meade 80mm f/6 ED APO refractor that we use for wider field images (and on top of that is a Lunt solar scope). So we've got 3 telescopes mounted / piggy-backed on the same mount. I moved the camera over to the Meade f/6 scope after using the C14 ... and forgot which images were taken with which scope. I knew I took the first images on the C14 and the last images on the Meade. I had to go back into Aperture and look at the order in which I took these... realized this was the 2nd to last image I took so it was, of course, actually taken on the Meade. Sorry for the confusion. Clearly I'm getting old and losing my mind. I don't have anything big enough to shoot the Moon with, so I really appreciate good shots of it. The color is straight out of the RAW image (no white balance, nor did I adjust it). Notice the slight brownish tint... that's the extra IR being collected. A normal camera filters that out and the moon would look more grayish. What I want to know is, when the earth is viewed from space, it looks blue. Why not the moon? I'm guessing it must be something to do with our oxygen molecules.